The South Fraser Blog: September 17, 2018 Council Meeting Notes: Craft Brewery proposal moving forward. 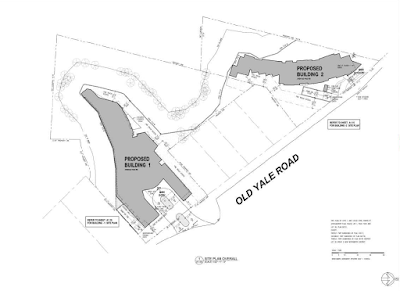 New Old Yale Road Seniors District starts consultation process. September 17, 2018 Council Meeting Notes: Craft Brewery proposal moving forward. 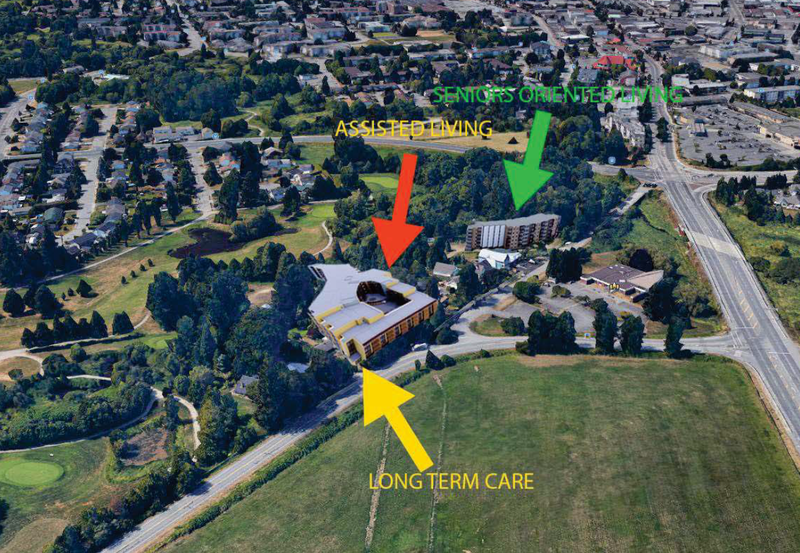 New Old Yale Road Seniors District starts consultation process. Yesterday was a very full council agenda. It was also one of the last three meetings before the general election on October 20th. Over the next week, I will be posting about the items that were covered. First, I wanted to highlight two significant proposals that were heard by council. The first was for a craft brewery that is purposed to be located in the Highland Mall (next to the Value Village on 56th Avenue.) A public hearing was held for both the rezoning to accommodate a microbrewery, and for a new manufacturer brewery lounge license application. The council chamber was full of supporters of the project. The Downtown Langley Business Association noted that it would create a social gather places for people in our community, and encourage more evening activity in our downtown. The site is near transit and is within walking distance for many people that live in the downtown area. It is proposed to include a 20-seat patio and 80-seat tasting room which will include a small stage. The project also received overwhelming support from council, and the rezoning bylaw was given third reading. For more information on the proposal, please read my post on the August 23rd council meeting. Council also gave first and second reading to a bylaw to amend our Official Community Plan to create an “Old Yale Road Seniors District” as well as gave first and second reading to rezoning several properties in the area to support an integrated seniors housing project that is purposed to include 28 long-term care units, 169 assisted living units, and 95 seniors fully independent living units. This type of facility would allow people to age in place. 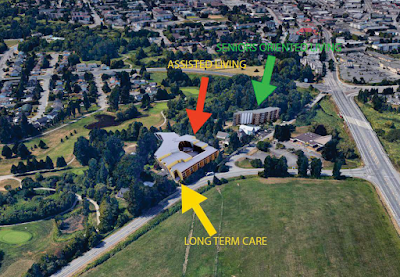 Rendering of proposed Old Yale Road Seniors District and seniors facility. Select image to enlarge. Amending the Official Community Plan requires a higher-level of consultation not only with residents of Langley City but also with other governments and organizations such as: the Township of Langley, Agricultural Land Commission, Metro Vancouver, Kwantlen First Nation, the Ministry of Transportation & Infrastructure, and TransLink. 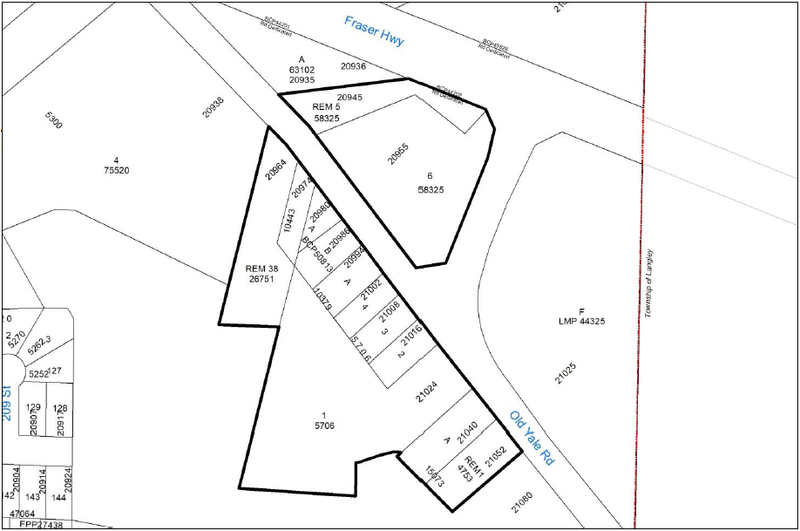 Site plan for proposed seniors complex at 20964, 20974, 21016, 21024 Old Yale Road. Select plan to enlarge. The proposed “Old Yale Road Seniors District” does not encroach onto the Agricultural Land Reserve or environmentally sensitive areas, but is adjacent, so extra care must be given. 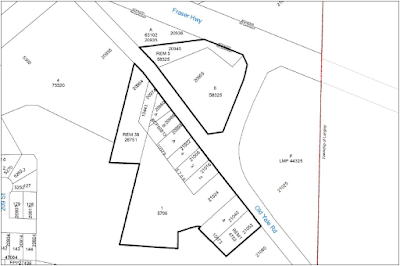 Area within the bolded black lines are part of the proposed Old Yale Road Seniors District. The public consultation process will likely extend past the mandate of the current city council. They will be built on floodplain and in a difficult to access place. No transit, no safe elderly pedestrian access to any amenity; Having to cross two major a major arterial and then a highway just to get to a store. This is an instance where the City ‘can’t see the forest for the tax revenue’, I suspect. I agree with "Cleve." As a mobility impaired non-driving senior, I will stay where I am in a rented condo on the 342 bus route close to downtown rather than move way out to this proposed location.